In simple terms, company branded marketing programs are really just self-promotion in action. The secret is to extend what your business does well with the ideal — and real — benefits it offers to customers. Easily said — not so easily done. But companies that do it well stand out — not only in the minds of customers, but also in terms of sales. 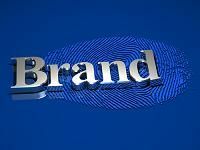 Telling your brand’s story can be effectively accomplished with company branded marketing programs. With a sequence of marketing communications at your disposal, you can take advantage of the opportunity to convey your brand in each touch point. Boast – But they do it subtly. North Face, a manufacturer of outdoor clothing, builds its brand through its “Never Stop Exploring” campaign. Instead of shouting, “Our clothes are the best for outdoor activities,” the company’s brand develops an ideal that consumers who buy North Face products are pursuing. Note that North Face’s excellence is subtly woven into the brand. Engage – The ideal upon which your brand is built should engage consumers at a very basic level. It should resonate. Consider Chipotle’s “Cultivate a Better World,” which conveys a commitment to quality products and effectively engages consumers who share that ideal. So what’s your brand’s ideal? Does it inspire and engage consumers? With your brand firmly in place, you can convey that message through company branded marketing programs. With a customizable and personalized program, you can implement customer retention programs, customer satisfaction surveys and lead generating campaigns, all of which comprise a sequence of branded materials that tell your story and effectively, inspire and engage customers to action. Contact Continuity Programs for more information about our turnkey, customizable marketing solutions, including our proven company branded marketing programs.